In October 2017, the US lifted most of the economic sanctions that had been imposed on Sudan for nearly two decades. Sudan has been designated a state sponsor of “terrorism” since 1997. Next month, Sudan and the US will start the next phase of the five-track engagement plan that involves negotiations over the removal of Sudan from the US list of state sponsors of “terrorism”. Khartoum is hoping to get rid of the remaining US sanctions, including the Darfur Peace and Accountability Act of 2006, as a prelude to seeking debt relief and fully normalising relations with the US. Nevertheless, al-Bashir appears to be very suspicious of US intentions. Last year, reports circulated that the US had sent a message to al-Bashir telling him not to run in the 2020 elections – something the Sudanese foreign ministry denied. Consequently, he has taken steps to dismantle this so-called “US clique” by removing his foreign minister, Ibrahim Ghandour, the director-general of the National Intelligence and Security, Mohamed Atta, and Army Chief of Staff, General Emad al-Din Adawi from their respective roles. Whatever the case, it seems that al-Bashir’s ability to play rival regional and international actors off against each other is diminishing, as some key players are telling Sudan “you are either with us or against us”. ADDIS ABABA (REUTERS) – Talks in Ethiopia to revive South Sudan’s failed 2015 peace pact and end the country’s civil war broke up on Wednesday without a deal, mediators said, potentially prolonging a conflict that has killed tens of thousands of people and displaced millions. Tens of thousands have been killed by the fighting between troops loyal to Kiir and forces loyal to Machar. The conflict has also left a quarter of the country’s population of 12 million either internally displaced or as refugees in neighboring countries. Sudanese President Omer al-Bashir Wednesday stated that the Sudanese troops would continue to fight Iran-backed Houthi rebels in Yemen despite the tough economic situation his country is experiencing. 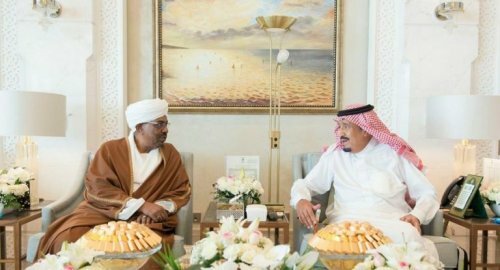 The Sudanese president further pointed to Sudan’s declared position to “defend the land of the Two Holy Mosques’’. There are very few maternal healthcare clinics left in a country that has been torn by five years of civil war, and many of the existing facilities are poorly equipped. South Sudan has one of the world’s highest rates of women dying in childbirth. And many of those who survive suffer painful injuries with long-lasting effects, that are entirely preventable. But after five years of war, medical facilities and treatment are in short supply. Al Jazeera’s Hiba Morgan reports from Juba. Rebecca Achol Atem-a local pastor from Panyagor- is using evangelism to promote peace in her area. She was trained by CARE in 2016 as a peace builder. ©Joseph Scott/CARE. Link to image. For the past two years, Rebecca Achol Atem has gained a reputation as a peacemaker in her church and community. 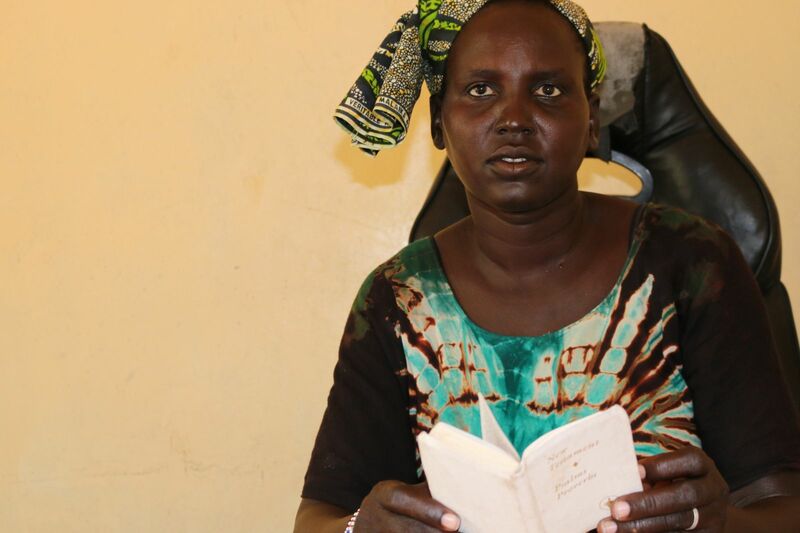 The thirty-three-year-old pastor from Panyagor in South Sudan says she found her new role as peacemaker exciting as it does not differ much from her duty of evangelism. Rebecca has been a pastor in her church for more than four years. In 2016 she was nominated by her congregation to go for a peace building training supported by CARE. After her training, Rebecca says she has helped resolve countless conflicts within and outside the church. “I am also a member of my local peace committee and whenever there is a problem in my area, I try to help,” she says. In most of the cases, Rebecca and her fellow committee members deal with issues relating to disagreements on marriage and bride price. But last year, they were asked to negotiate peace between two tribes who clashed because of land wrangles. 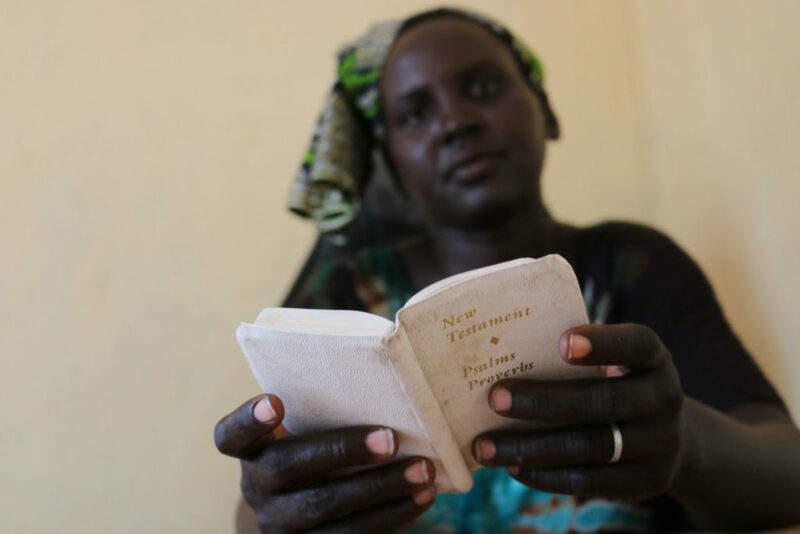 Rebecca use verse in the Bible and peace messages from her training to promote coexistence in her community. ©Joseph Scott/CARE. Link to image. Despite the complexity of the issue, Rebecca and her fellow peace committee members managed to bring the two tribes together for peaceful dialogue. The matter was resolved amicably. Rebecca, who also works as a hospital assistant at the local health facility, sometimes take time off to preach the gospel of peace to schools around the area. So far, her peace committee has managed to form five peace clubs in the surrounding schools. Despite the numerous achievements in bringing peace in her community, Rebecca says poverty is a threat to their work. She explains that most of the issues she has to deal with stem from either a fight for resources or a struggle for survival. Marriage bidding normally happens when someone rich challenges the dowry offered by another for a girl by increasing the number of cows. Due to poverty, many parents settle for the highest bidder, and in most circumstances, the girl marries an old but rich person or someone the she has never met. “We don’t have a ready answer to issues such as marriage bidding but we always raise awareness on the rights of the girl child. Our message is that educating the girl child is the best weapon to defeat poverty,” says Rebecca. Although there are still conflicts in her area, Rebecca feels that the number has gone down when compared to the past. She adds that more people, especially young people, are now aware of the need for peace. “I appreciate the training I got from CARE, it taught me so many things which I am using now as a peacemaker. However, we need to engage as many young people as possible and make them understand that violence always begets hate. Sudanese President Bashir accused Egypt last year of supporting opposition figures fighting Sudanese troops in Darfur [AP]. Link to image. The Sudanese foreign ministry said on Saturday that the Ramadan series, titled Abu Amr al-Masry, broadcasted by ON TV satellite channel, is “insulting to Egyptians living in Sudan and destroying the confidence and relations between the people of the two countries”. It urged Egypt to “stop attempts at disturbing the interests of the two countries”. 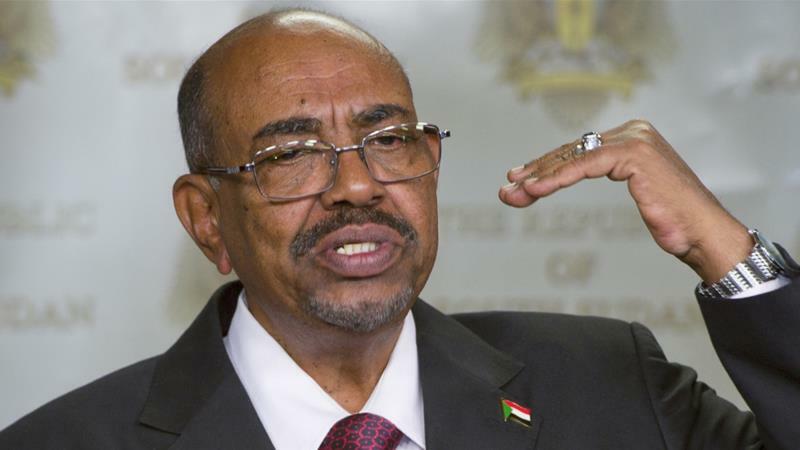 Diplomatic ties between Cairo and Khartoum have largely remained tense, particularly since last year after Sudanese President Omar al-Bashir accused Egyptian intelligence services of supporting opposition figures fighting his troops in the country’s conflict zones such as Darfur. Diplomatic relations have been further strained over the past year by Khartoum’s revival of a long-standing border dispute and its perceived support for Ethiopia, which is building an upstream dam on the Nile that Egypt fears will cut into its share of the river. The fighting had erupted in Jebel Marra between the Sudanese government forces and the Sudan Liberation Army-Abdul Wahid rebel group, said the African Union-United Nations joint peacekeeping mission in Darfur. AFP/File/ASHRAF SHAZLY. Link to image. The chief of the UN peacekeeping force in Darfur on Sunday expressed regret over recent clashes in Sudan’s western war-torn region, which he said has left villages burnt and people displaced. The latest fighting, in the Jebel Marra mountains, came despite a ceasefire unilaterally announced by Khartoum in March, applying to Darfur and another conflict in Blue Nile and South Kordofan states. 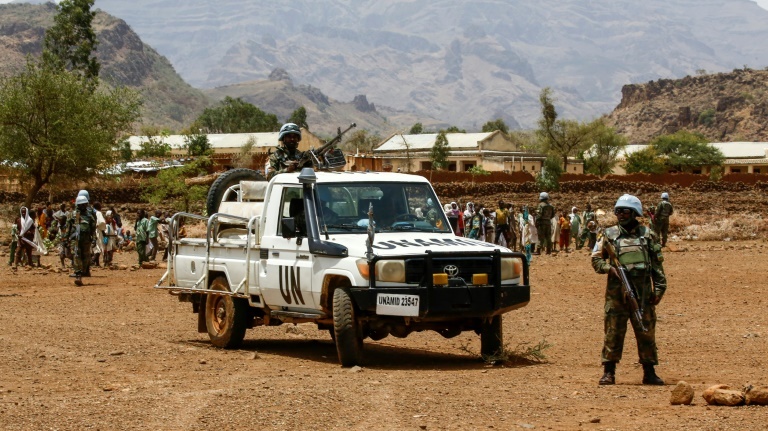 The fighting had erupted in Jebel Marra between the Sudanese government forces and the Sudan Liberation Army-Abdul Wahid rebel group, said the African Union-United Nations joint peacekeeping mission in Darfur, also known as UNAMID. “UNAMID appeals to all parties involved to exercise restraint and resolve all outstanding issues through dialogue and the peace process,” UNAMID chief Jeremiah Mamabolo said in a statement issued after he visited the mission’s temporary operating base in the town of Golo in Jebel Marra. Washington too had condemned the fighting, which it said has resulted in thousands of new displacement of civilians. An insurgency began in Darfur in 2003, as rebels rose up against Sudan’s government, accusing it of marginalisation. Khartoum restricts international media access to Darfur, an area about the size of France, so it is not possible to independently verify the details of fighting there. In recent years the level of violence has significantly dropped across Darfur, with Khartoum insisting that the conflict has ended in the region. The UNAMID mission too is being downscaled, now standing at around 10,000 uniformed personnel from a peak of about 27,000. A separate conflict erupted in South Kordofan and Blue Nile, both bordering South Sudan, in 2011. The United Nations Children Fund (UNICEF) said Armed groups in South Sudan have released more than 200 children who have been serving as fighters, this comes amid estimates that there are some 19,000 child soldiers in the war-torn nation. 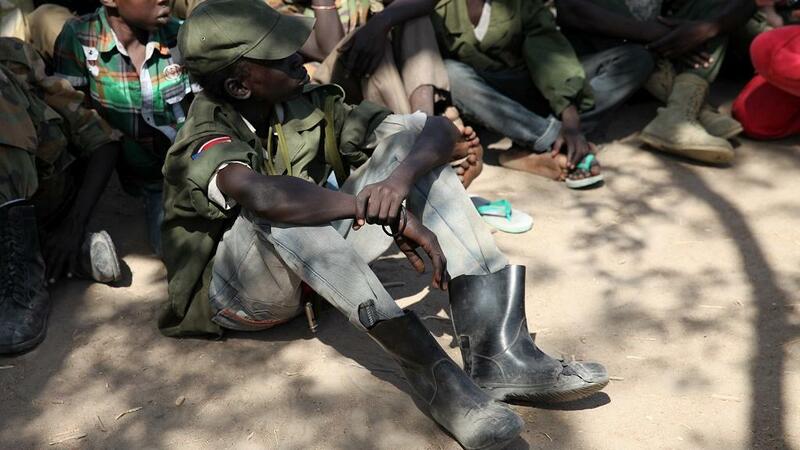 The release of the 210 child soldiers brings the total number of underage fighters freed so far this year to 806 a UN spokesperson said. However, the UN top official has condemned the treatment of aid workers in South Sudan, saying that violence and harassment is preventing help from reaching an estimated seven million people in need. U.N. undersecretary General for humanitarian affairs, Mark Lowcock said four aid workers have been killed and 10 others abducted in the last two months alone. His numbers did not appear to include aid workers reportedly kidnapped near the eastern town of Yangiri. Lowcock, who visited South Sudan this week, said both the government and the armed opposition have done too little to halt violence and stop their forces from obstructing aid workers from reaching their intended destinations. Mr Ambrose Olaa. Link to image. 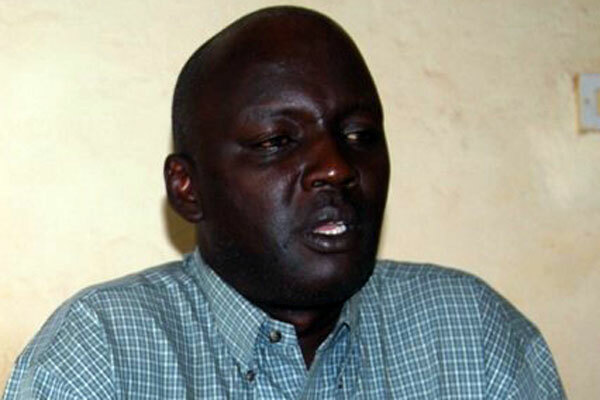 Last week, the Acholi Cultural Institution premier Ambrose Olaa and eight others were abducted by an armed group in South Sudan. The group regained their freedom after three days following intervention of the UN Mission in South Sudan and World Vision. Mr Olaa, who was picked up in South Sudan’s Gbudwe State close to the western border with DR Congo and the Central African Republic, had been doing consultancy on peace building with World Vision International. While security officials in Uganda have not disclosed the identity of the armed group behind the abduction, the UPDF 4th Division spokesperson, Maj Telesphor Turyamumanya, said the abductees were released in a jungle and they were tracing for a convenient place where they could be picked up. It is a welcome relief, particularly for the Acholi Cultural Institution, that Mr Olaa has been freed. The incident, however, raises broader concerns about the security of Ugandans in South Sudan and those residing around the border areas. Given the prolonged instability in South Sudan, there are various rebel outfits and armed groups. This has led to widespread lawlessness and armed gangs operating mostly around border areas where they terrorise cross border traders, raid cattle, farms and homesteads inside Uganda. The government of South Sudan may not have control over such armed groups, which makes it difficult to engage them constructively. Cases of abduction and harassment by South Sudan armed groups both in South Sudan and the border areas, including inside Uganda, have therefore become common. In August last year, a suspected South Sudan rebel group operating near Lamwo District in northern Uganda, abducted six Ugandan businessmen, held them in a prison and demanded a Shs3 million ransom in order to release them. The area where the businessmen were abducted – Lubone Sub County, Magwi County in Imatong State in South Sudan – just five kilometres from Aweno Olwi border post in Lamwo District, was then controlled by rebels. In 2014, similar reports of abduction, torture and harassment were reported in the West Nile district of Moyo when 16 Ugandans were detained by South Sudan militia while carrying out a census exercise at Wano Village, Lefori Sub-county in Moyo District. The militia claimed the territory belonged to South Sudan. Such reports, and several others, including a recent case where a South Sudan MP was assassinated in Uganda by gunmen operating in South Sudan, calls for tougher security measures to protect Ugandans living around border areas and South Sudan refugees in Uganda. The statement from Eritrea further said Ethiopia and Sudan have agreed to deploy Eritrean armed opposition groups along the two countries’ borders with Eritrea to facilitate hit and run attacks on the Red Sea nation. He further said Ethiopia’s offer to have unconditional negotiation and dialogue with Eritrea still stands despite the two countries’ current bitter standoff.